● Gift Ideal for All: Fun Creative gifts for baby,kids, girls,mon,ladies,USA Flag Hot balloon Lovers,Birthday gift,Thanksgiving gift,Christmas Gift,New baby gift,Baby Shower gift,Holiday gift,Kids gift. 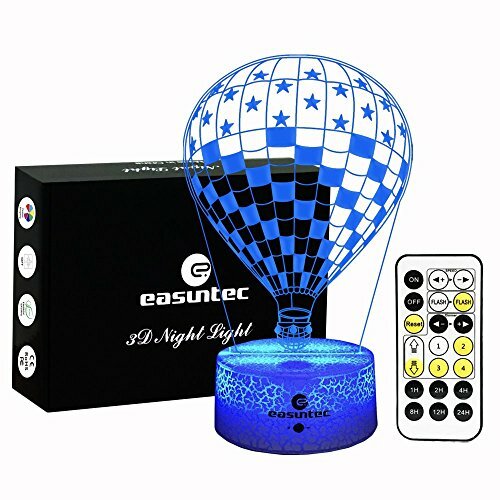 ● Mini Size:5.6''(W)*8.7''(H) ,Dual Power Supply Mode: via USB cable + Wall Plug(Plug not included),via Power Bank,Or via 3 x AA battery(not included),via Laptop computer and so on. Kitten Dreams Night Light - Glowing Yellow Lithophane Sleeping Cat Image - 3" X 5"